Who should bear the cost of regulation? Many corporate banks, investors and institutions have made significant investments in the traditional ‘financial hubs’, such as London, Zurich and Frankfurt, over the years. With ongoing Brexit concerns, organisations are looking for financial hubs to base themselves in within the European Union. Outside of London. Large investments in recent years have resulted in Ireland becoming a base for world-class national and international headquarters. Ours included. Based on data relayed in the European Commission’s Special Barometer 386, English is by far the most widely spoken foreign language within the European Union. According to the Tax Foundation, the corporate taxation rate in Europe sits at an average of 18.35%. Ireland sits significantly lower at 12.5%. This, teamed with the fact that English is one of Ireland’s mother tongues, makes Ireland a pretty attractive business realm. However, there is always balance. Although corporate tax is less, the Banking and Payments Federation Ireland has found that ‘regulatory costs in Dublin exceed those in rival financial centres elsewhere in Europe. For example, in 2014, one bank paid €255,000 to be registered with the Central Bank of Ireland, the Irish regulator. In the same year, this bank paid €120,000 in Luxembourg for the equivalent registration there. Even though this bank’s Luxembourg operations are larger than those in Dublin. With fines and regulatory costs, there are many forms of legislation and regulation that companies must adhere to. When assessing a set-up, companies might also consider the legal attitude toward commercial law in a given country. For example, Ireland might be seen as favourable due to the establishment of the Commercial Court. This division of the High Court deals with business disputes where the value of the claim is at least €1 million, or is a dispute concerning intellectual property, among other factors. To prevent further accusations of failure to control competition between financial centres, regulator charges should be assessed separately to fines. Each legal jurisdiction has its downfalls, but the obligation to assess the responsibilities and risks that a firm might assume in a new jurisdiction must be executed by the firm itself. 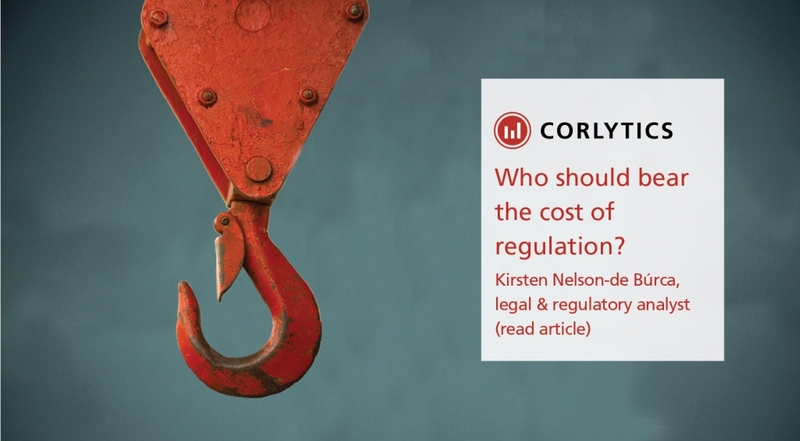 If you need assistance in understanding your own regulatory requirements, Corlytics is here to help.